Each year the person in charge of Queensland's prison system prepared a detailed report on the state of the prisons. 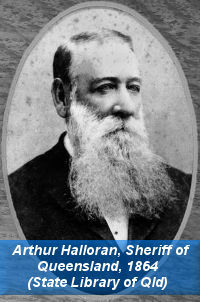 Until 1894 this was the job of the Sheriff of Queensland, and in later years it was completed by the Comptroller-General of Prisons. The reports for 1912-16 also featured a range of excellent photos of various prisons around the State. The reports can be found in libraries that stock copies of the annual Queensland Parliamentary Papers. An example of one report (from 1889) can be viewed here (PDF 5MB).